The RICOH building has a strong identity and is the figurehead of the Paleiskwartier. An office with an "open" look to the community to show what happens inside. 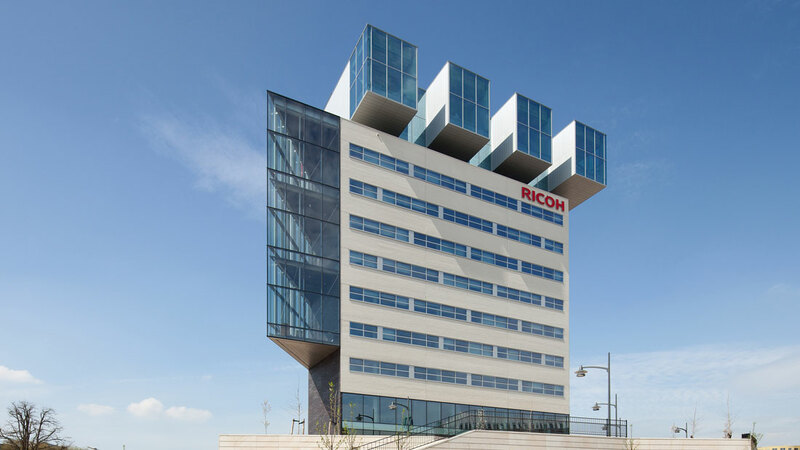 The RICOH building has a strong identity and is the figurehead of the Paleiskwartier complex in the city of ’s-Hertogenbosch. These will be offices with an ‘open’ look to the community to show what is happening inside. 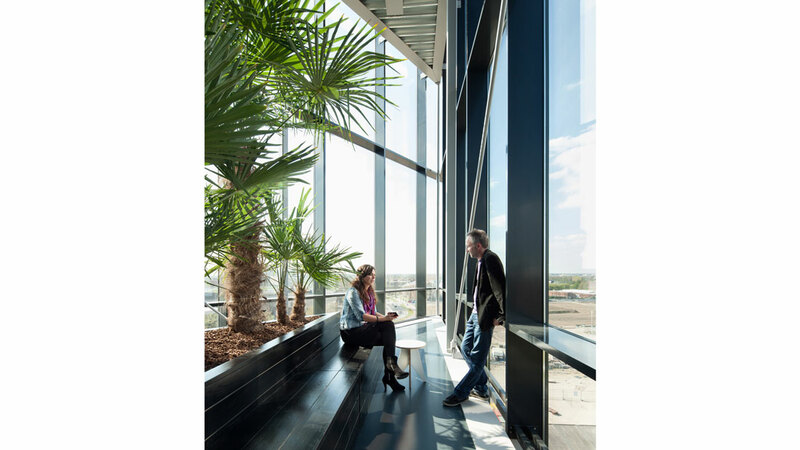 To establish contact between staff, RICOH and its visitors in a natural way has been an important design principle for us in this building. The location on the southernmost tip of the Paleiskwartier is prominent and the building will soon also define the skyline of Den Bosch. 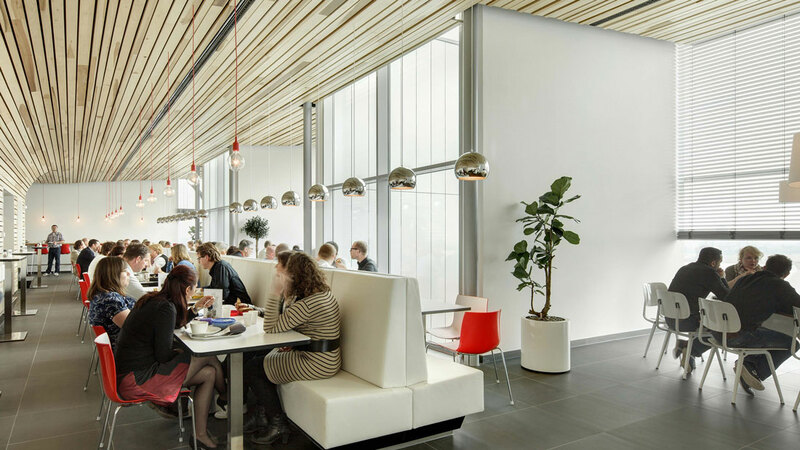 As well as designing the building, our team also designed the complete interior/furniture kit with fixed and loose furniture – helping to shape the identity of RICOH. 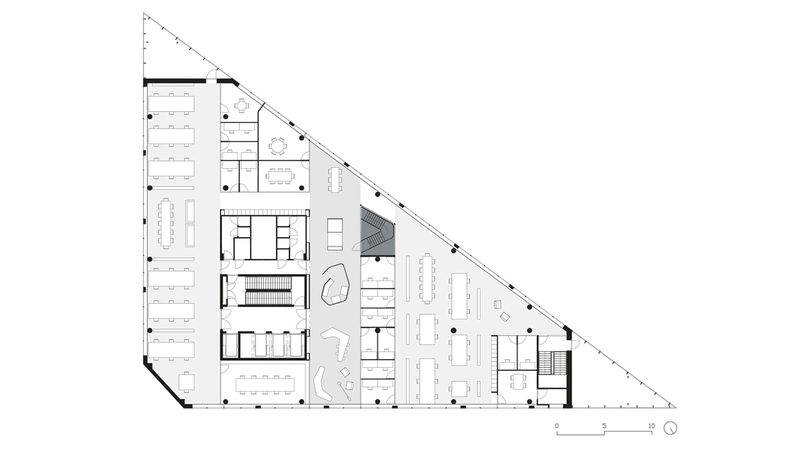 The challenge was that the departments within the building should ‘evaporate’. Employees should be able to share knowledge better and to inspire each other. 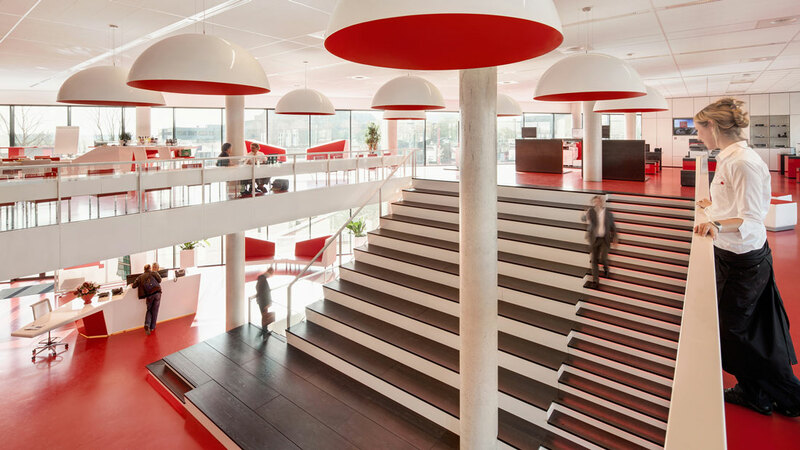 Every year, the market in which RICOH operates changes and therefore the interior design needed to be easily adaptable for innovation. 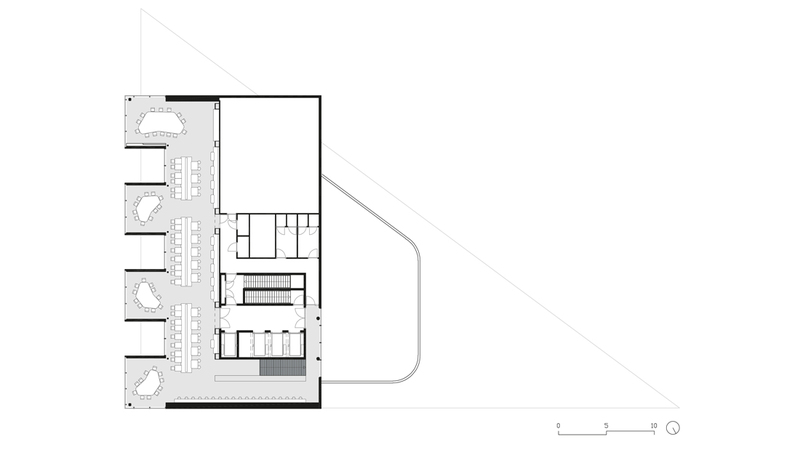 As well as open work areas in the building, there are a lot of quiet consultation rooms and workplaces positioned in between the informal zone and the open workplaces. 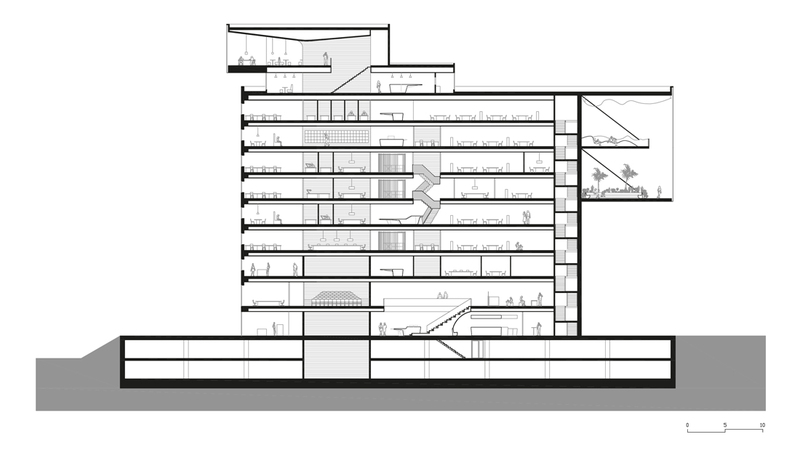 Characteristics of the building include the sky bar and work stations in the glass conservatory vertices. Here you can have an extraordinary view over both the city and the landscape with the sense that you are outside rather than inside the building. 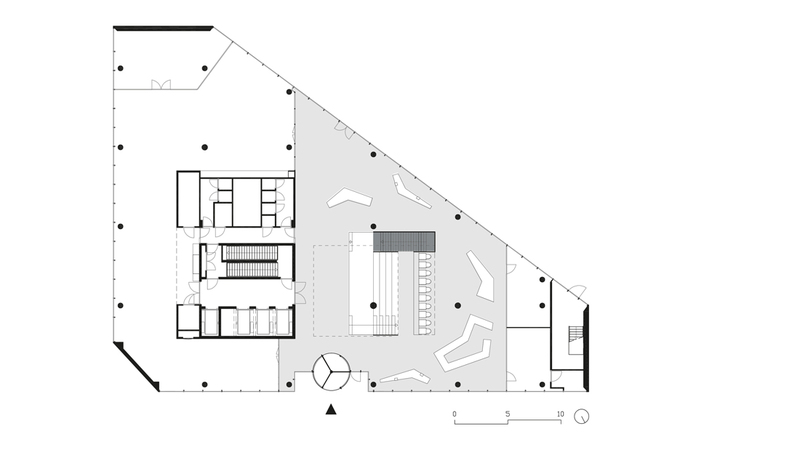 These areas have a completely natural climate system and are energy-neutral in design with an A+ energy label. 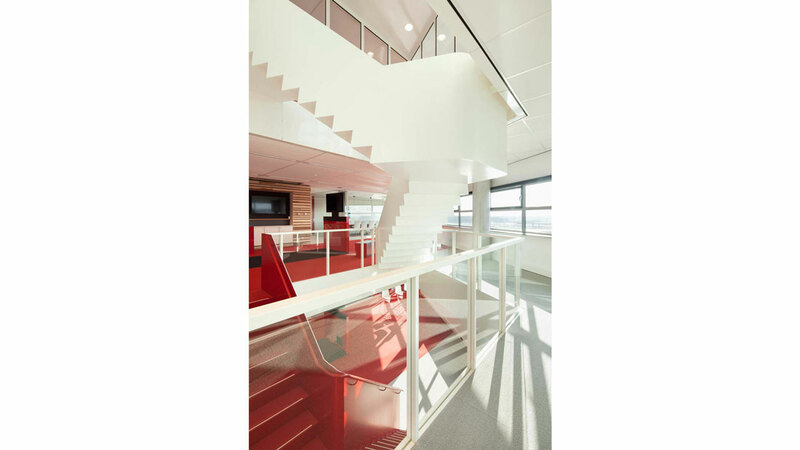 RICOH HQ has been chosen as one of the most innovative and attractive offices to work in by Intermediair in March 2013. 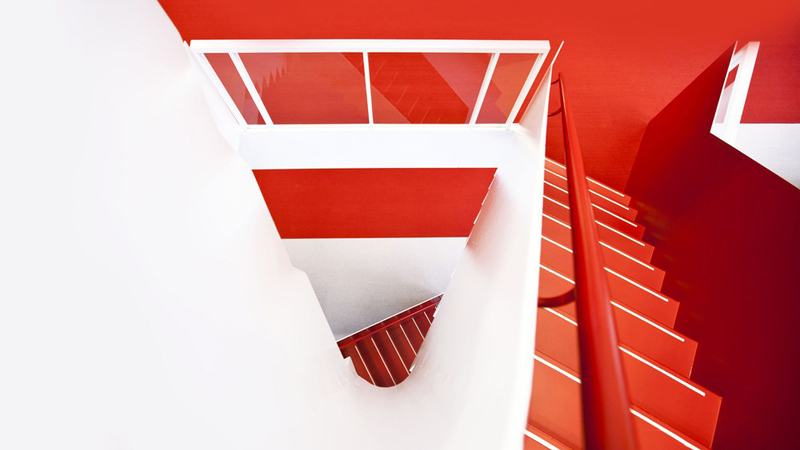 De binnenwereld van het kantoor bestaat uit een gezoneerde structuur van open werkplekken, huiskamers, glazen spreekkamers, auditoria en vides. 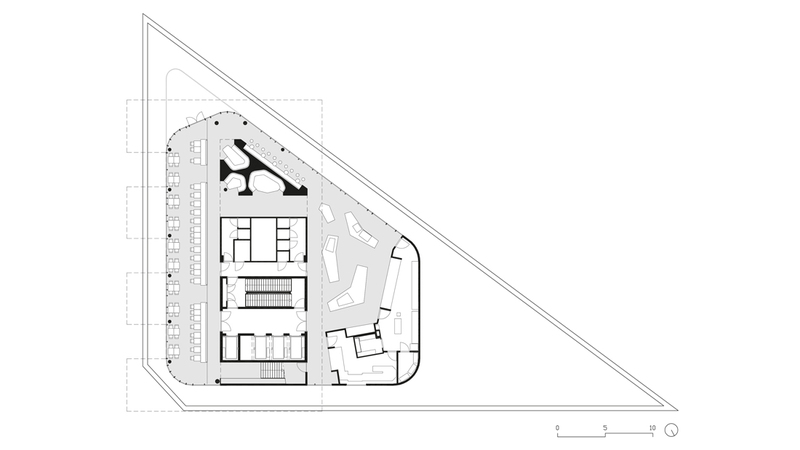 De verschillende zones hebben hun eigen sfeer in materialisering en zijn speciaal ontworpen voor plaats onafhankelijk werken. Karakteristiek zijn de grote glazen hangende serres met tuinen in een energie-neutrale-omgeving. De bovenste bouwlagen bestaan uit een restaurant met glazen erkers met een prachtig onbelemmerd uitzicht over natuurgebied De Gement en de historische binnenstad van Den Bosch. De begane grond is uitnodigend en transparant. Hier bevinden zich een open auditorium en goede congresfaciliteiten. 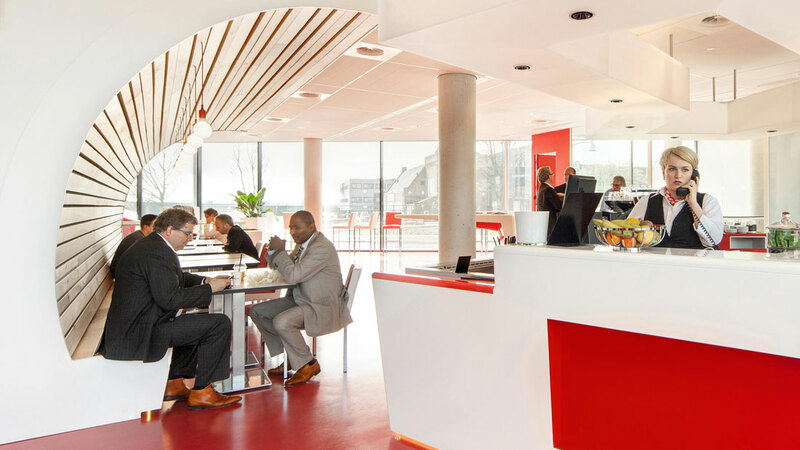 Het gebouw is duurzaam met een energie label A+. 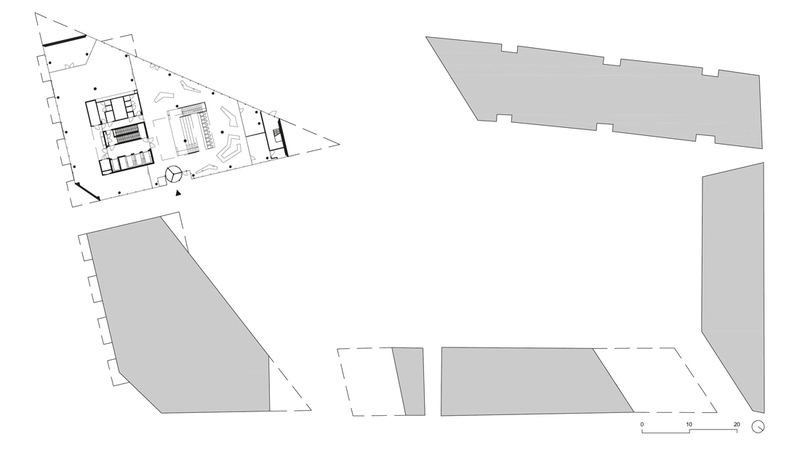 NOAHH ontwierp het gebouw, het inbouwpakket en het vast meubilair. 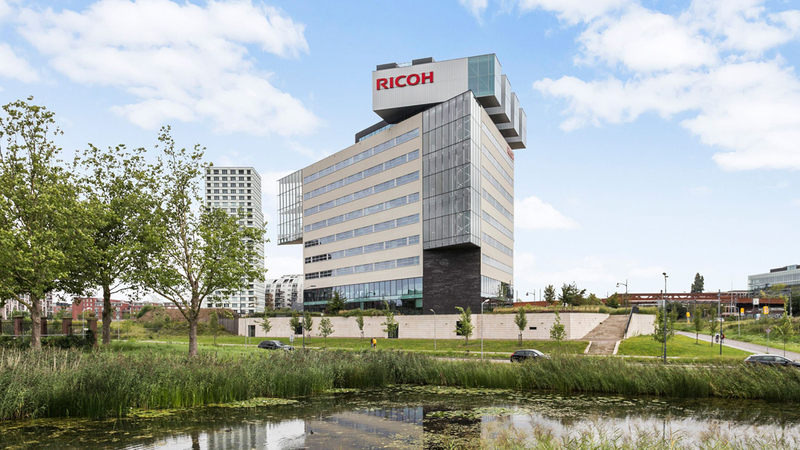 Door Intermediar is RICOH in maart 2013 gekozen tot de top drie van de ‘fijnste kantoren van Nederland’ .